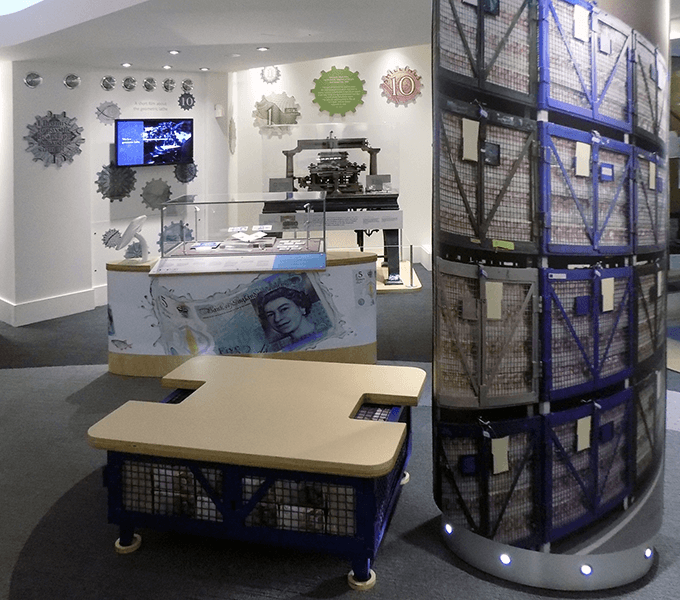 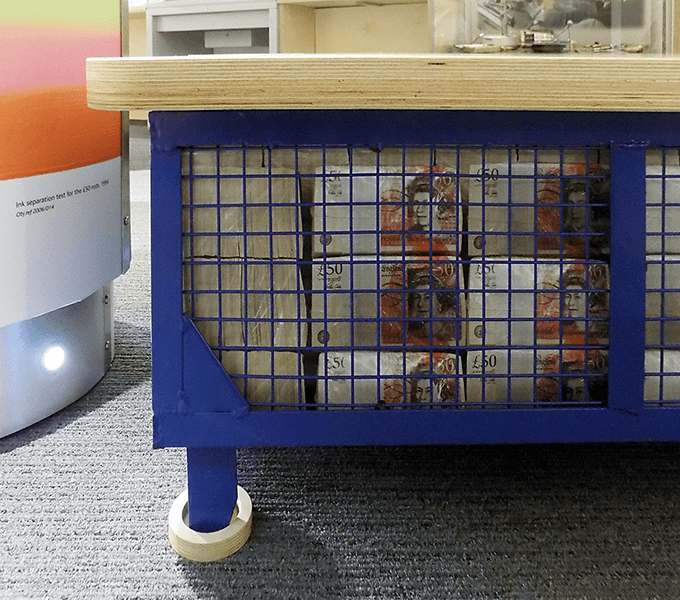 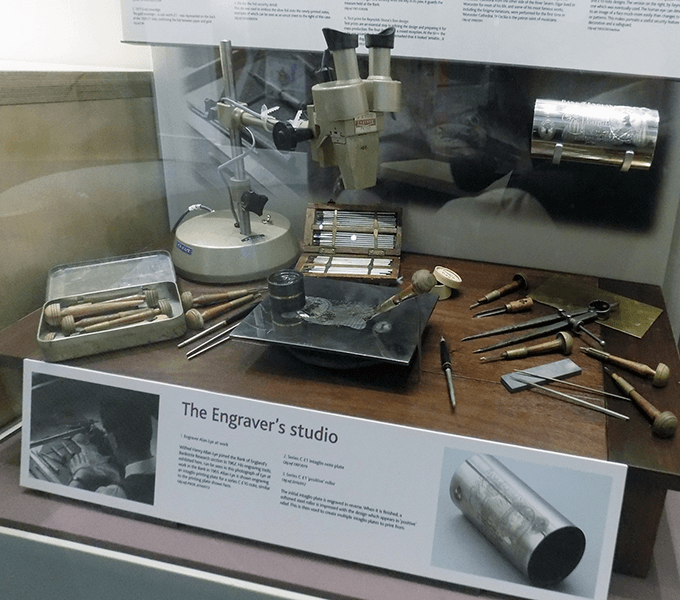 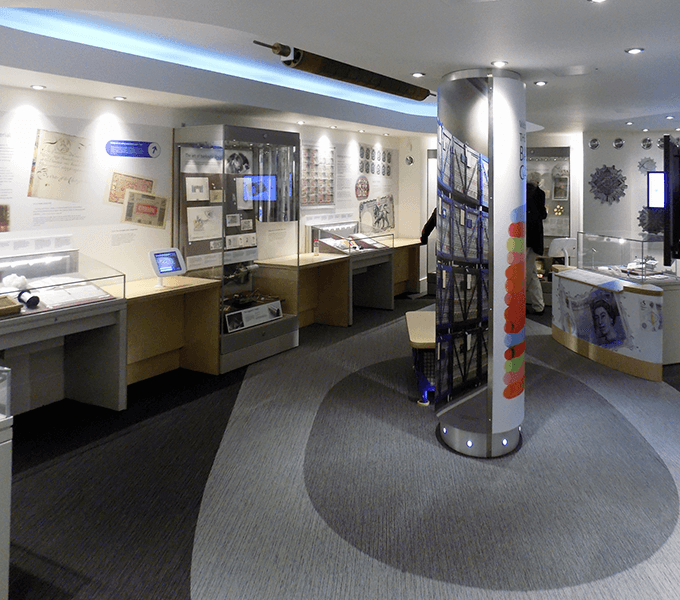 Complete refurbishment and redesign of a gallery in the Bank of England museum to coincide with the release of the polymer £5 note in September 2016. 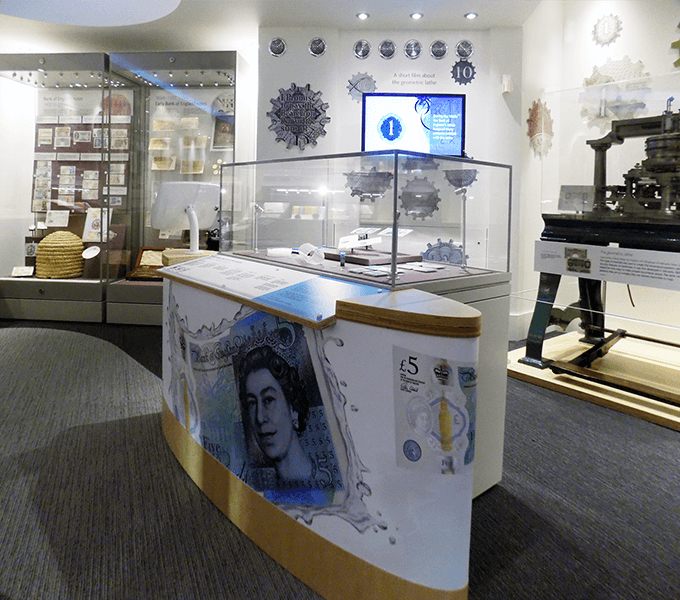 The gallery tells the story of banknotes from the earliest paper money to the most recent anti-forgery features. 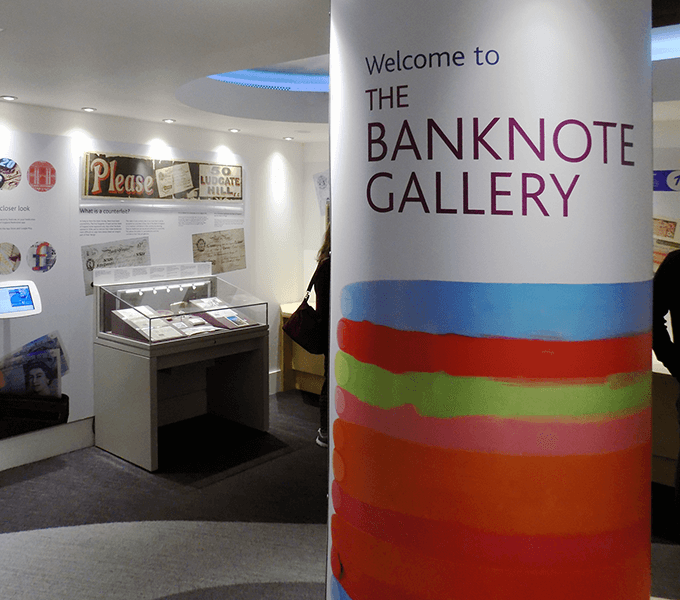 Read more about the Banknote gallery in our blog post From paper money to polymer.